Daniel J. Levitin, Ph.D., is Founding Dean of Arts & Humanities at the Minerva Schools at KGI, a Distinguished Faculty Fellow at the Haas School of Business, UC Berkeley, and the James McGill Professor Emeritus of Psychology and Music at McGill University, Montreal, where he also holds appointments in the Program in Behavioural Neuroscience, The School of Computer Science, and the Faculty of Education. An award-winning scientist and teacher, he now adds best-selling author to his list of accomplishments as This Is Your Brain on Music , The World in Six Songs and The Organized Mind were #1 best-sellers. His work has been translated into 21 languages. Before becoming a neuroscientist, he worked as a session musician, sound engineer, and record producer working with artists such as Stevie Wonder and Blue Oyster Cult. He has published extensively in scientific journals as well as music magazines such as Grammy and Billboard. Recent musical performances include playing guitar and saxophone with Sting, Bobby McFerrin, Rosanne Cash, David Byrne, Cris Williamson, Victor Wooten, and Rodney Crowell. “Hits on the most important issues around statistical literacy, and uses good examples to illustrate its points. I could not put this book down. Reading it has been a pleasure, believe me. 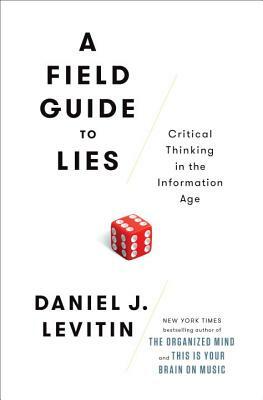 I am so impressed with Levitin's writing style, which is clear and simple, unlike much of the murky stuff that is written by statisticians and many others.”—Morris Olitsky, former Vice President, Market Research and Analysis, Prudential Financial, Statistician, U.S.D.A.